Hello friends. Here in California, we like to think that we have seasons just like the rest of the country. It’s not true, but we enjoy our dreams. 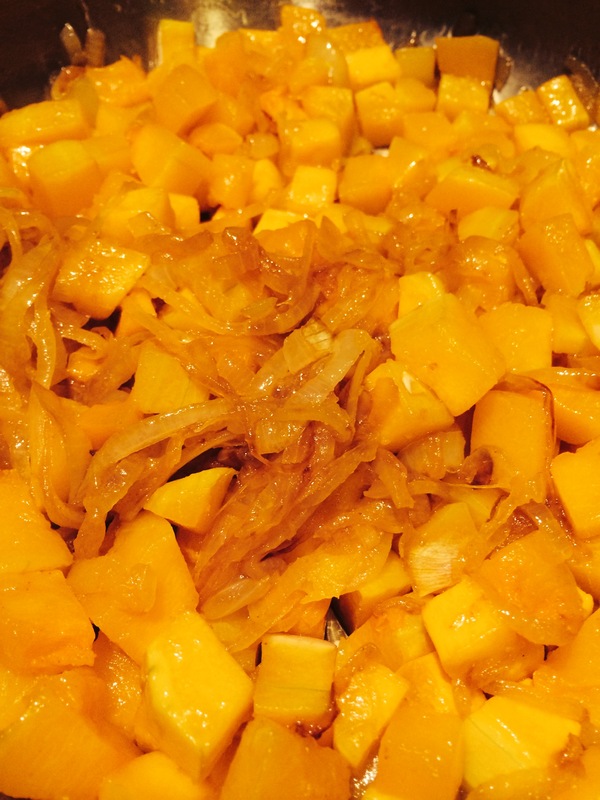 With November in full swing and Thanksgiving a mere stone’s throw away, it’s time to start prepping our innards for the onslaught of starches and festive holiday foods. 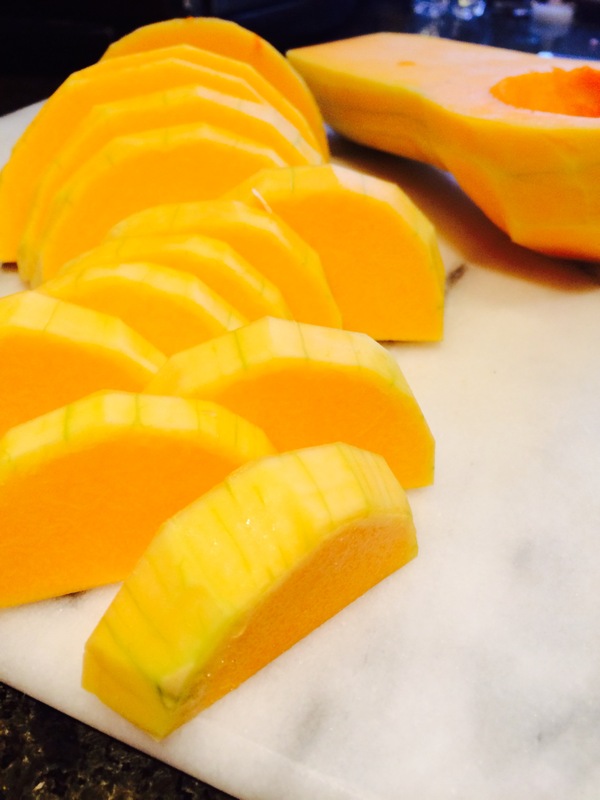 We may not have snow and colorful foliage, but we can cook with the best of them. 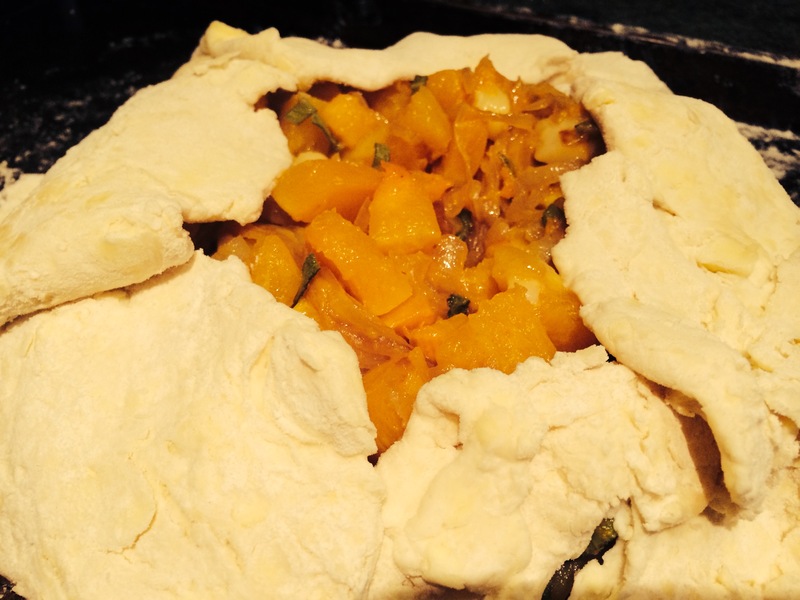 And what’s better than a delicious twist on a classic? Not a whole lot. 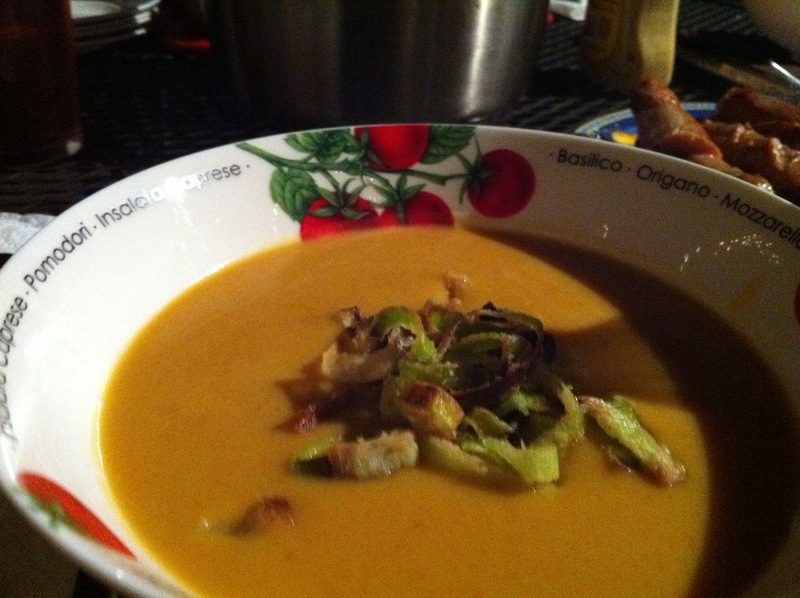 Butternut Miso Soup with Fried Leeks. Not only was this dish as fabulous as a bedazzled belt buckle, it was consumed under the glow of twinkly lights on a delightfully warm evening. 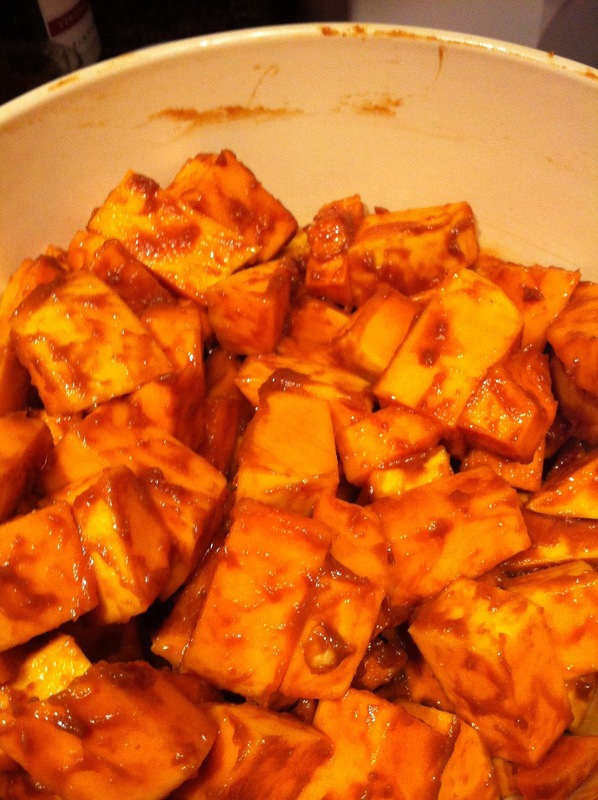 The miso gives it a great salty-sweetness that goes very well with the delicate butternut flavor. 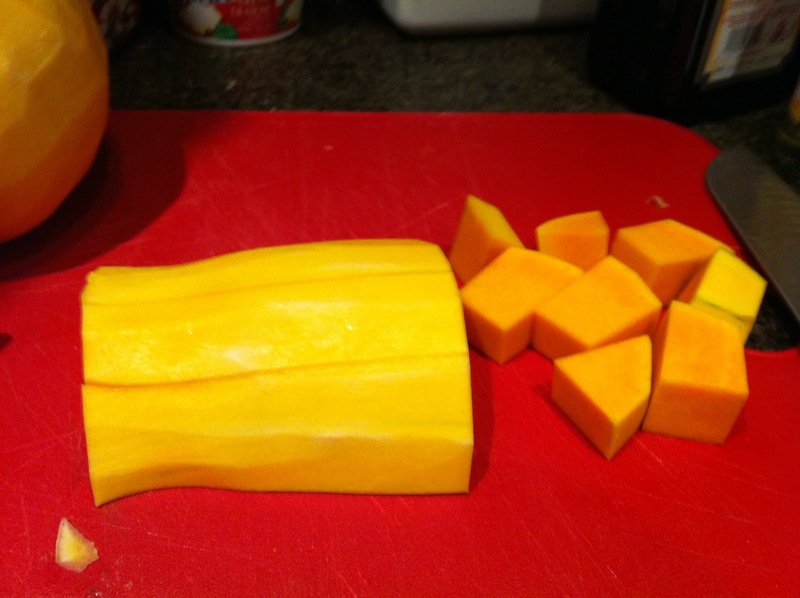 I’m a big fan of squash, but I get very bored with simple butternut soup. 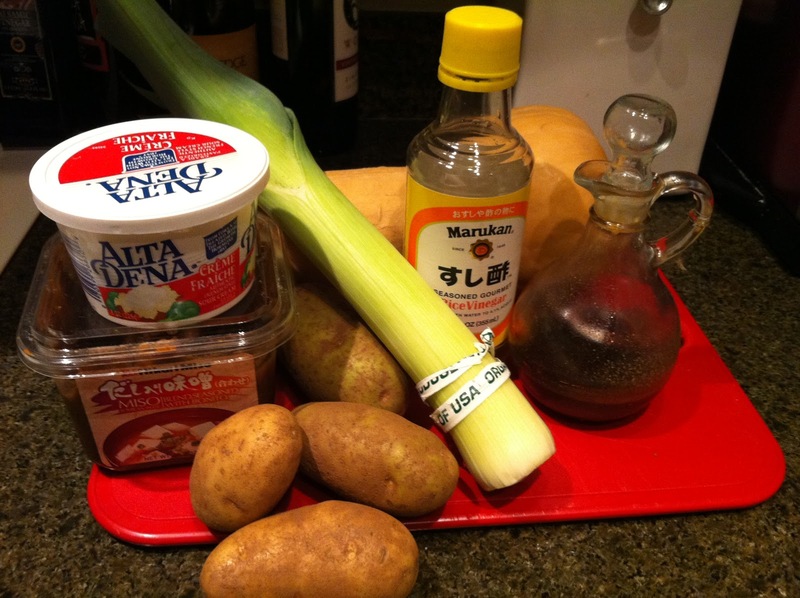 I discovered the fantabulousness of miso last year and tried to use it in just about everything, with this dish as the knockout. 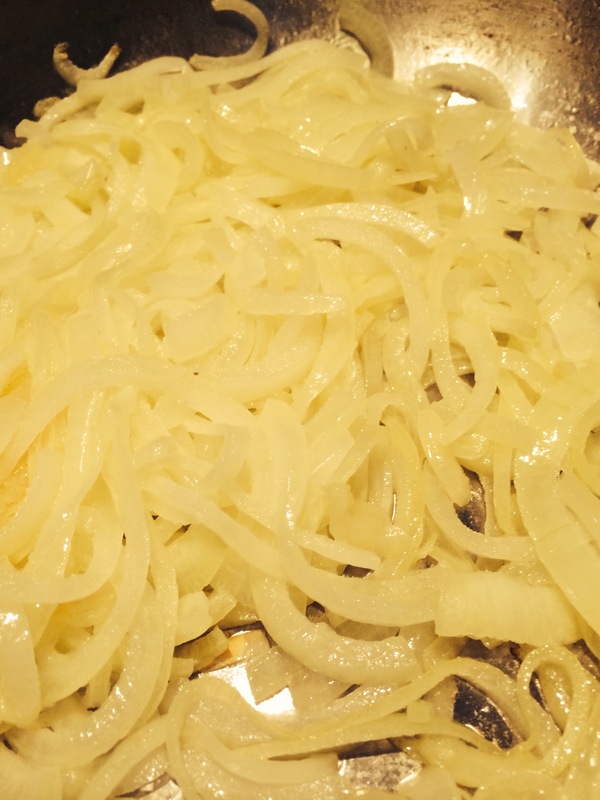 It’s a very simple recipe and takes very little time, with even less effort. The addition of the fried leeks (which were amazing and great as a pre-dinner-I’m-starving-and-won’t-wait-any-longer snack) came from Cook’s Illustrated. Thank you, Lauren! *Dairy is tricky when warmed. It tends to curdle and then your guests look at you like you’ve got some sort of incurable disease that you’ve spread into their food. Cook’s Illustrated, those tricksy folks, have done us all a favor and researched this issue extensively. They found that creme fraiche, unlike sour cream, milk, and yogurt, does not curdle when hot. I highly recommend it! 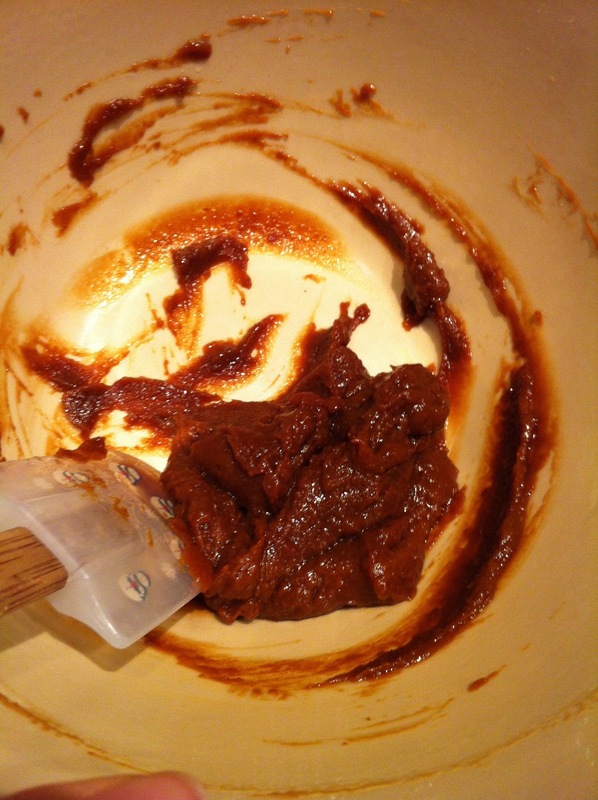 In a large bowl, mix together the miso paste, oils, and vinegar. It should be very thick, but thin enough to spread easily. 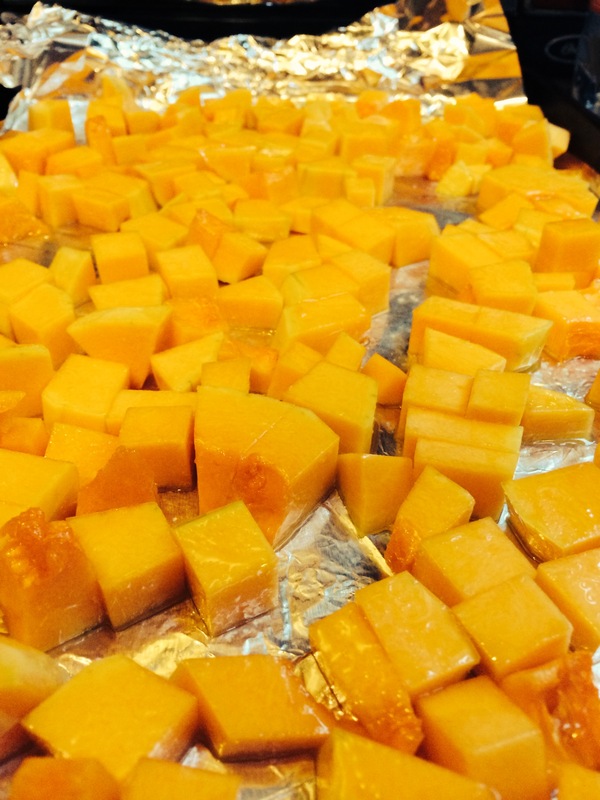 Throw your butternut cubes into the bowl and toss to coat evenly. 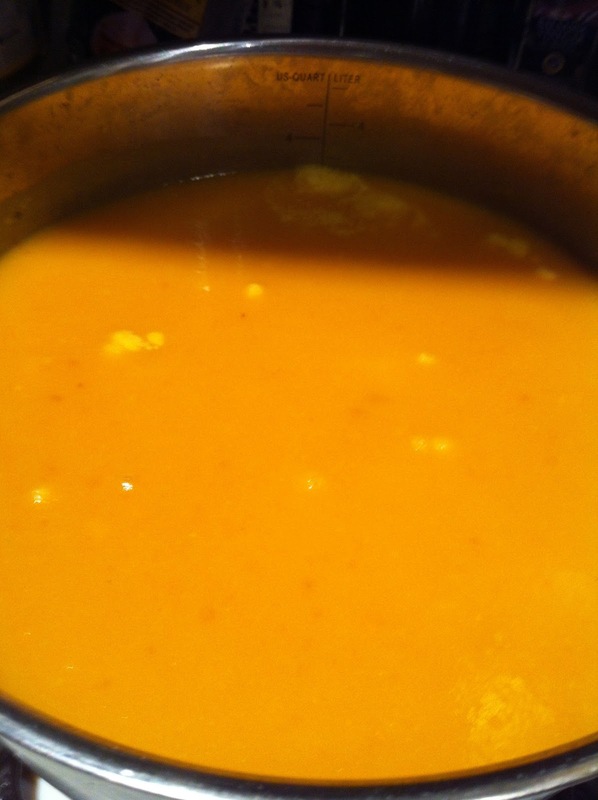 Add the creme fraiche and stir to ensure even distribution. Salt, if desired. 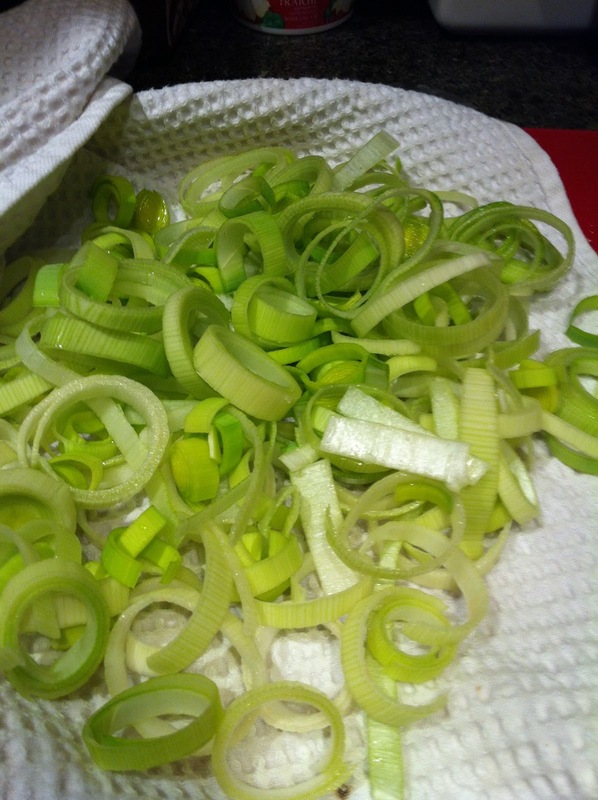 For the leeks, slice them into about 1/4 rounds or smaller. Rinse thoroughly and pat dry. 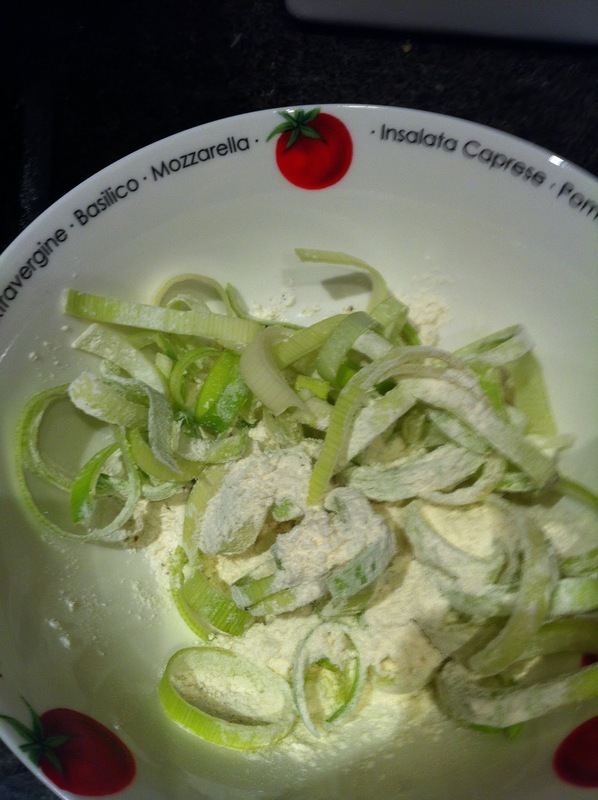 Heat a deep pan on medium-high with about 1/4 oil and dredge the leeks in flour, salt, and pepper. 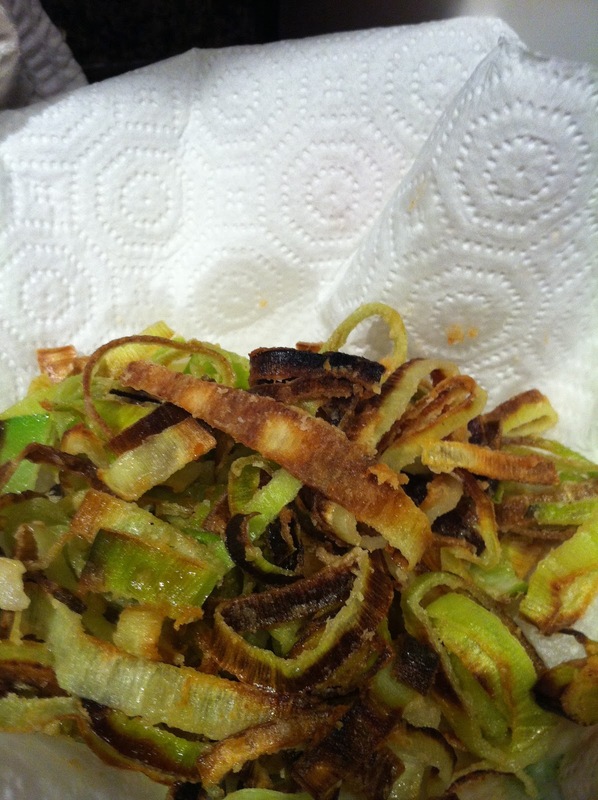 When the oil is nice and hot, shake any excess flour off and fry the leeks until they are brown and crunchy. 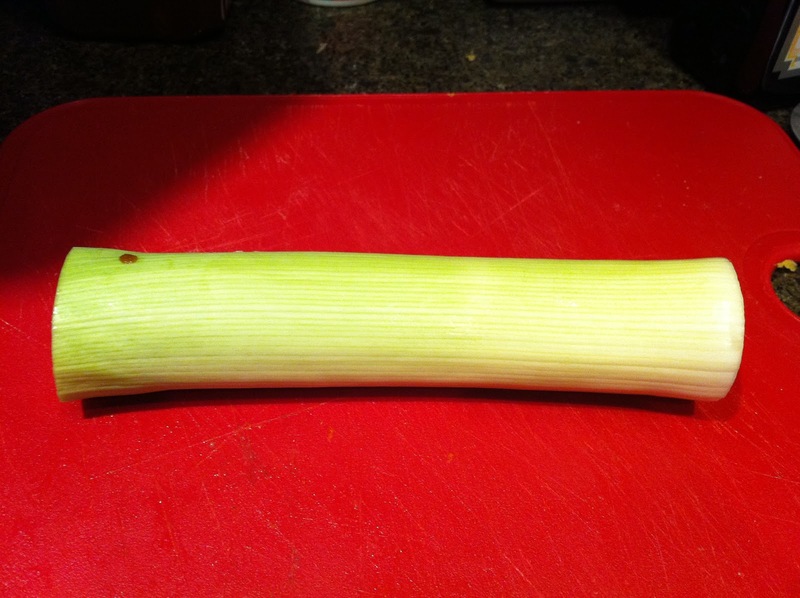 Ladle yourself some soup, toss the leeks on top with a spot of grated parmesan, and grab a hunk of bread. It’s nomming time!